Sebong Hong represents domestic and foreign business entities, broadcasting companies and financial institutions. He has extensive experience in various types of domestic and cross-border business transactions, including joint ventures, stock and asset acquisitions and dispositions, investments, financing, licensing, manufacturing and distribution arrangements, sales of goods, and secured transactions. As outside general counsel to the U.S. subsidiaries of South Korea's three largest broadcasting companies, Mr. Hong has substantial experience in content licensing and copyright law. Mr. Hong counsels financial institutions in lending, workouts, collection, judicial and non-judicial foreclosures, and sales of loan portfolios. In addition, he advises his corporate clients on a wide range of issues pertaining to corporate governance and management matters. 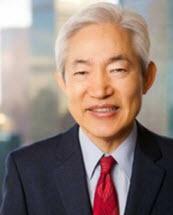 Having received his legal education both in the U.S. and in South Korea and having subsequently acquired considerable legal experience in both countries, Mr. Hong is one of the few U.S. attorneys who understand the cultures, customs and legal systems of both countries. His unique background enables him to effectively and efficiently advise his clients in inbound and outbound business transactions and to resolve cross-border commercial disputes. Mr. Hong is based in Los Angeles. Advised the U.S. subsidiaries of South Korea’s three largest broadcasting companies on licensing arrangements with various licensees, including major U.S. satellite television broadcasters. Coordinated, as counsel for the U.S. subsidiaries of South Korea’s three largest broadcasting companies, the joint prosecution of copyright infringement claims against multiple infringers in Virginia, Maryland and New York by retaining and working with local litigation attorneys. Represented multiple officers and employees of a large South Korean corporation and its U.S. subsidiary in connection with an investigation of accounting irregularities. Assisted U.S. subsidiaries of four large South Korean corporations in defending federal criminal investigations and indictments for violation of the federal campaign finance law. Settled, as counsel for South Korea’s largest heavy industry company, a dispute with a U.S. oil giant involving more than $100 million. Represented a leading bank in South Korea in connection with two large loans from overseas lenders, each in the amount of more than $100 million.